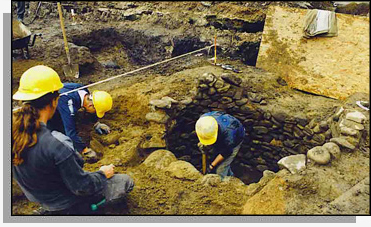 We are a group of professional archaeologists, based in Dublin. We work in Dublin City and countrywide. We have considerable experience of planning and development on a wide variety of project types and carry out excavations, assessments, trial testing and monitoring for developments of all scales. We also prepare desk-top assessments, Cultural Heritage reports for Environmental Impact Assessments and offer marine and underwater monitoring for development schemes. As a company we make every effort to publish and disseminate the findings of the projects we have worked on.